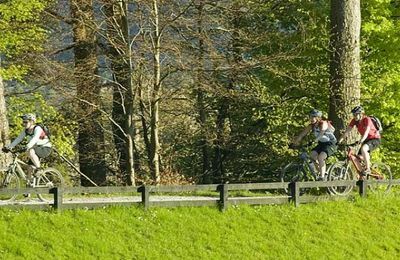 A great facility for cyclists and walkers to help them stay safe and enjoy the route from or to Fort Wiliam to Torlundy. 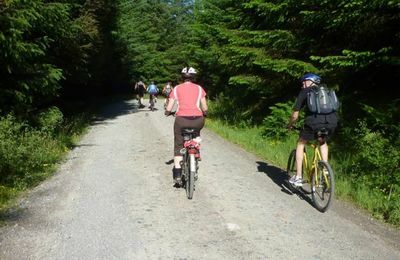 If you are hiring bikes from local cycle shops, or are bringing your own bikes with you to Fort William, to cycle in the local forests, we'd like to tell you about a safe and sensible way to travel from Fort William town centre to Torlundy, a distance of 3.5 miles. 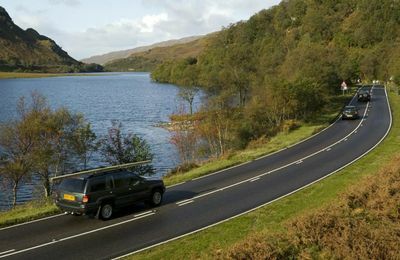 Likewise, if you are travelling north or south through Fort William on a road bike, we want you to know about an interesting and safe route to cycle, which will keep you off the busy A82 over this stretch of road. 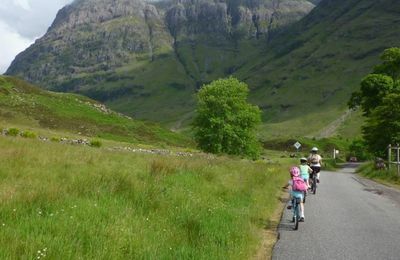 Between Lochy Bridge junction on the A82 and A830 to Mallaig, there is an excellent tarmac cycle path which provides a safe alternative to cycling on the road. 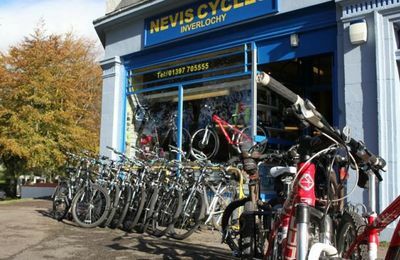 The cycle path goes from the Ben Nevis Distillery (an excellent visitor centre and coffee shop) to the village of Torlundy, which then leads onto the Old Ski Road into Leannachan Forest and onto Nevis Range. 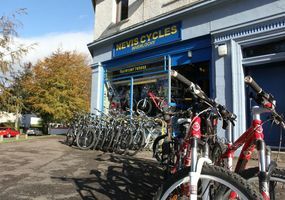 From the town centre follow directions to the Great Glen Way which will take you past the Underwater Centre by the shore of Loch Linnhe and the River Lochy along a tarmac path into a residential housing area, where you can then cross the River Nevis on a bridge into the village of Inverlochy. 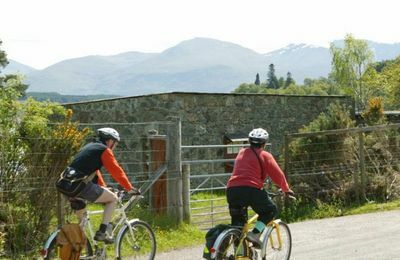 Cycle through Inverlochy heading north and along a tarmac path by the Black park which will take you to Old Inverlochy Castle Ruin - an ancient castle with almost 800 years of history. 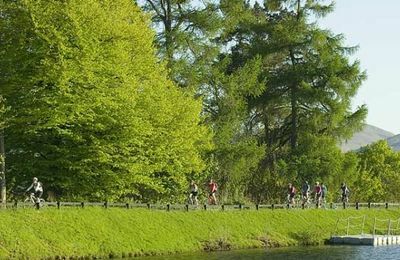 Cycling past the entrance to the castle ruin the next landmark is the former BA Sports & Social Club where there is a bowling green, pitch and putt course, and playing field for cricket and football. 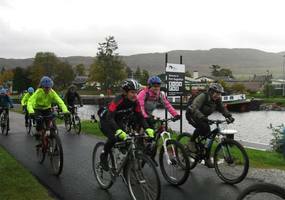 The tarmac path continues along the river until you reach Lochy Bridge junction with the A830 and A82. 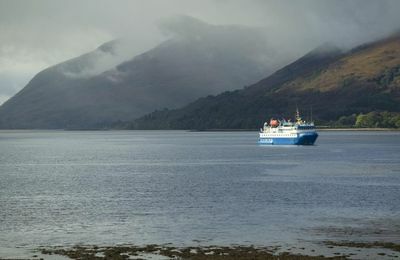 From this junction take the pedestrian crossing over to the Ben Nevis Distillery and join 1.2Km of tarmac cycle path to Torlundy. 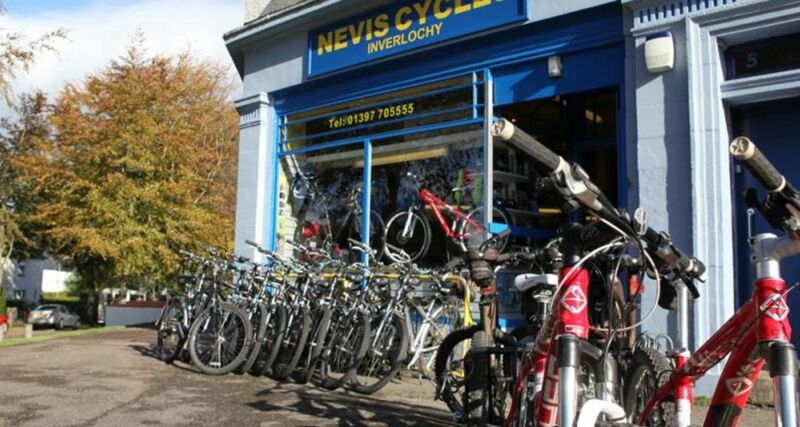 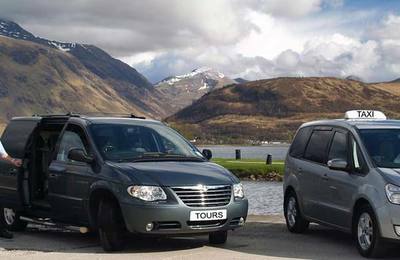 From Torlundy you can then join a route into Leannachan Forest to cycle to Nevis Range, where you will find an excellent cafe and more cycle routes than you handle, as well as a Gondola Station to take you up Aonach Mor. 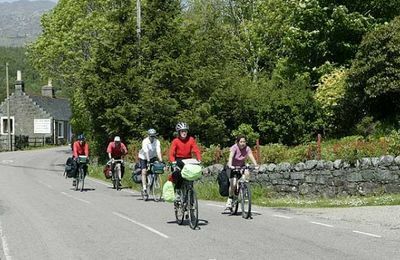 Cycling on the A82 is not recommended by Police Scotland if you are simply cycling from Fort William to Torlundy or to Nevis Range, or cycling the reverse route to Fort William. 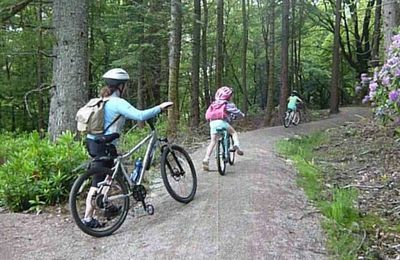 The Cycle Path was built to make cycling both safe and fun - please use it !